Emory University, a top-ranked national research institution, comprises nine schools and colleges. 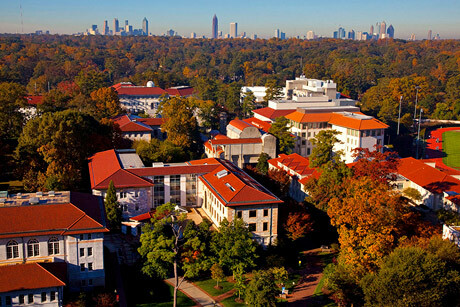 The main campus, in Atlanta, Georgia's historic Druid Hills suburb, is home to Emory College of Arts and Sciences, the Laney Graduate School and six professional schools. Emory was founded in 1836 in Oxford, Georgia, where the university's Oxford College is located. The affiliated Emory Healthcare is the largest and most comprehensive health system in Georgia.